When you think about the things that you would want from your home country it may surprise you to see what you come up with. Is this truly what I value most from back home? Or is it just due to the fact that I can’t get it here? Being in Spain there are many things that are available but at the same time there are some things that are impossible to obtain. Some of these things we don’t mind too much but others we wish we had from time to time. The other day Kanicia somehow became the go-to-person for getting Bible covers from America for the friends here in Spain. These covers were on Ebay and apparently weren’t available in Spain. The makers of the covers are a family of pioneers who use the revenue from the covers to help support them in full-time service. The covers are very nice and have the style of the new revised Bible both in print and in color if desired. If your interested you can check out their ebay store here. The sellers were a pleasure to deal with and are located in California. There were several sisters in the hall that were interested in these covers for their Bibles. We ordered ten of them and our good friend who we won’t mention by name (You know who you are! Thank you!!!) helped orchestrate the pick up and shipping of the Bible covers as well as a “care” package for Kanicia and I. She asked us if there is anything that we would want from the States that she could send to us while she was sending the Bible covers. Well after a few minutes I told her that I wanted gummy bears from Whole Foods or Trader Joes. 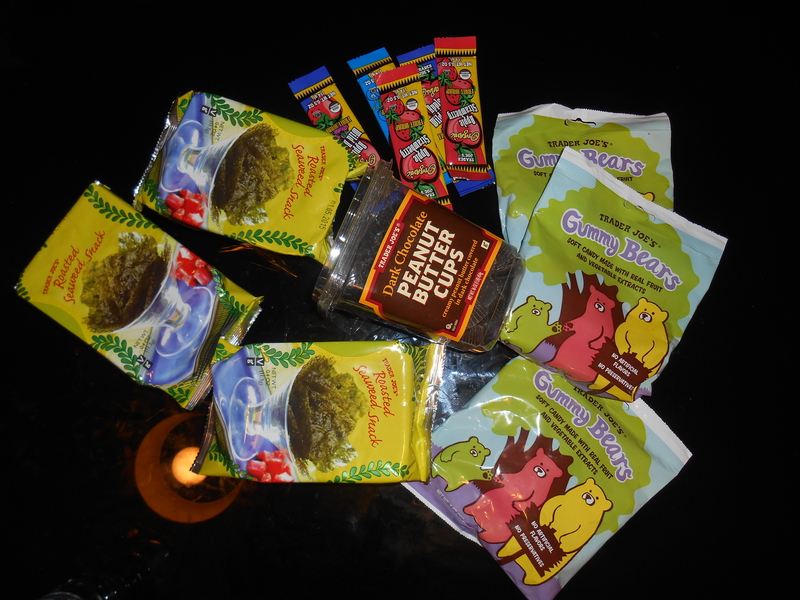 Kanicia wanted little peanut butter cups with dark chocolate and also those seaweed snacks. Sound weird? Yeah, maybe it does. But this is all we could come up with and we were so happy when we received all of the requested items. Its amazing how something as small as a gummy bear or a familiar snack can transport you back to the Bay Area and give you a warm, cozy feeling! The friends all love the Bible covers as well. They are especially nice because they have zippers which completely protect the new revised Bible. One unanticipated benefit of being in the English here in Spain is that we get to use the new Bible at the meetings and in the ministry. We really appreciate this and we never want to take this new translation for granted. This week because of carnival celebrations my students at the public school had Monday and Tuesday off. This meant that I would have Tuesday to share in the ministry. This was an excellent way to start off March. I was looking forward to working out with the group because I’ve heard that Tuesdays and Wednesdays are very well supported service days. Well that certainly proved true! There were double digits at the service meeting. I was able to work with a wonderful brother named Sylvester from Ghana. We had a great time in the ministry and I learned alot about the work in Ghana as well as in Holland where this brother lived previously. We had a lot of laughs and then it was time for the legendary Tuesday service lunch! This happens at 2pm and then some of the friends continue in the ministry at 4:30pm. I have heard about this lunch and seen pictures but I have never attended up until this week. Wow! Every Tuesday, our lovely sister Maria opens her home (which is also where the morning service meeting is held) and has a complete table set for whoever comes. This Tuesday there must have been at least 10 people there. Many of the friends bring small things like desserts or drinks. Maria had cooked a delicious dish of lamb with rice. There was also a seafood stew and salad, cheese, bread and wine. The best part, of course, was the time that we got to spend with the friends. Maria had a good friend visiting from England who had previously lived in Spain, helping in the English field. In talking to this sister we learned about the London Bethel and the work going on in the UK. It is always fascinating to learn about the brotherhood around the world. After the meal we played a Bible board game and relaxed. I really enjoyed my time spent at this amazingly hospitable family’s home. On days like this I can’t help of think of Jehovah’s generosity and how we can by our actions attempt to imitate it in small ways!